In 1996, the Executive Boards of two ALA divisions, PLA and LAMA, approved a proposal to develop a “Certified Public Library Administrator” program; that proposal was also subsequently adopted by the ASCLA Executive Board. Adoption of such a proposal brought the issue of certification forward. Q1. Can you recap the history to date of this project? A1. At the Midwinter Meeting, 1996, the Executive Boards of PLA and LAMA reviewed a proposal to establish a “Certified Public Library Administrator” program. It was approved “in concept” and staff were asked to develop detail plans. The two boards voted at the Annual Conference, 1996, to move forward. File copies of the original proposal exist. At the Annual Conference, 1998 (Washington DC), as part of continuing series of Board “briefings” on ALA Key Action Areas, a briefing on “Continuous Education and Lifelong Learning” was presented. Darlene Weingand participated, along with staff. Voluntary, post-MLS certification was one of the recommendations made. Following the briefing, representatives of PLA and LAMA, now joined by ASCLA, presented their proposal formally to the ALA Executive Board. 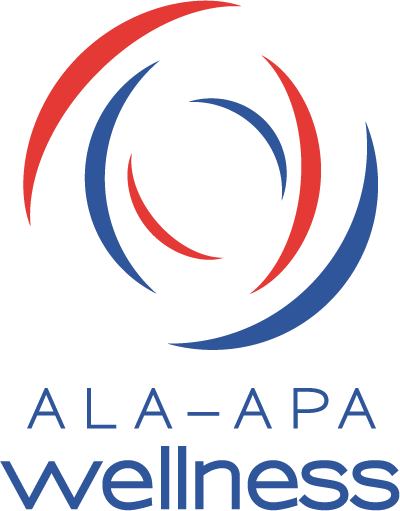 The ALA Executive Board supported the proposal in concept and asked ALA Management to return at the 1998 Fall Board Meeting with a business plan for establishment of the Section 501(c)(6) organization to enable implementation of the PLA/LAMA/ASCLA program. A file copy of the briefing document prepared for the ALA Executive Board exists. The Committee on Education held hearings during the 1998 Annual Conference. Q2. What are the next steps? A2. PLA, LAMA and ASCLA are responding to issues raised by ALA-APA Management during the course of this continuing development and to questions raised by the Committee on Education. The Library Support Staff Interests Round Table is also considering certification for Library Technical Assistants. Q3. What have PLA, LAMA and ASCLA proposed? demonstrate to colleagues, trustees and boards of directors, patrons and the wider information community that the certified person has acquired a professionally recognized body of knowledge and expertise in public library administration. Q4. What are the proposed requirements for certification? In addition, candidates must demonstrate that they have five years of full-time public library supervisory experience at time of final application for certification. Candidates must be active professionally, as demonstrated by other courses taken or given, papers written and professional association activities. The divisions are currently reviewing these recommendations to address two issues: (1) Demonstrable relevance to the specialization for which certification is sought. (2) Broad, potential access to the program. Delivery of relevant coursework on the web is being considered. An examination model, initially rejected in favor of a requiring applicants to take PLA/LAMA/ASCLA-offered courses, is being reconsidered, as it would open opportunities for applicants to utilize coursework from university-based LIS programs, chapters and other associations. The original proposal requires a candidate to complete work toward certification within five years of announcing intent to be certified. Q5. For what length of time would a candidate be certified? A5. The original proposal requires recertification every three years. To maintain certification, the certified public library administrator must remain active in the profession, continuing both personal professional development and contribution to the professional body. A6. Certification attests to the possession by an individual of a specified body of knowledge and/or skills. Certification can occur at entry level, as part of career development, or as recognition of career achievement. Q7. How does certification relate to accreditation and licensure? A7. A school or educational program – in ALA’s case programs (not schools) in Library and Information Studies – are accredited to deliver a particular education program. Certification and licensure attest to an individual’s possession of a specified set of knowledge and skills. Both accreditation and certification are voluntary. Licensure is mandatory and governmental. Some professions (e.g. medicine) use all three: accreditation, certification and licensure. LIS has historically, generally, used only accreditation. There are, however, examples of certification-like programs within the field of library and information studies: the Medical Library Association’s Academy of Health Information Professionals and the Special Libraries Association’s Management Institutes. Q8. The American Library Association has not, historically, engaged in individual certification. Can it do so? A8. ALA itself cannot be an instrument for certification of librarians at either the entry point or a subsequent stage in professional development because it is a Section 501(c)(3) – educational – organization. The IRS considers certification to be a proper activity for a Section 501(c)(6) – professional – organization. A Section 501(c)(6) affiliate organization could be established to run a certification program for librarians. Such an organization could be legally tied to ALA through an interlocking board. It could be housed at ALA headquarters (if desired) and could (if desired) use ALA staff. ALA would have to recover from the Section 501(c)(6) organization the cost of space, staff time and any other ALA resources used. A Section 501(c)(3) organization may not give funding to a (c)(6) organization, but may make a “fair market” loan. Q9. Can an ALA-tied certification body require an MLS from an ALA-accredited program (or other program recognized in ALA policy) as a pre-condition for certification? A9. Yes. In fact, it would be important that an ALA-tied certification body only grant certification to persons with degrees recognized within ALA policy. Q10. Would such certification be a statutory requirement for a particular job? A10. No. It would be an additional piece of information that the employer could utilize in determining the relative qualification of candidates. It would be a means by which librarians in particular specializations might seek to demonstrate their preparation. Q11. Could an ALA-tied certification body require ALA membership as a pre-condition for certification? A11. No. Certification bodies generally avoid requiring membership in any particular organization as a pre-condition of certification, as that could possibly constitute an anti-trust violation. Q12. Is there any necessary connection between certification by an ALA-tied certification body and licensing, certification or certification-like practices in various states? A12. No. States may adopt certification by trade or professional societies as evidence that the states’ requirements have been met; this is the choice of the state. The existence of state certification procedures does not in any way prevent a professional body from certifying its practitioners. ALA would have no obligation to state certification bodies. Q13. PLA, LAMA and ASCLA have proposed post-MLS certification of a particular specialization – public library management. Could an ALA-tied certification board certify a specialization without certifying librarians at the point of entry into the profession? Is there any problem with certifying some specializations and not others? Q13. The fact that there is no certification at point of entry into the profession does not in any way prevent certification at a later point in professional development. Further, there is no legal barrier to certifying only some specializations. Law and dentistry, for example, certify some specializations and not others. Q14. Does certification raise concerns of legal liability for ALA? A14. While certification does raise legal liability concerns, liability is limited by using a separate entity for certification. Further, it should be noted that thousands of non-profit organizations certify without significant liabilities. There are some key questions to ask during the establishment of such a program: (1) Are the criteria for certification carefully matched to legitimate professional goals? (2) Are the criteria for certification pro-competitive (vs. anti-competitive)? (3) Is the analysis thorough and objective? Q15. Can the ALA set the standards for certification? A15. Literally, no. Setting standards for certification is part of the certification process. However, the ALA/ALA divisions can properly establish standards for professional practice within certain specializations; these standards may be licensed to/adopted by the ALA-tied certification board [ALA-APA Certification Committees]. Q16. Why might we want to do this? The Executive Boards of three ALA divisions have voted for this program, on the grounds that it will provide an important and useful service to their members. Career development certification (the type proposed) attests to acquisition of a specialized body of knowledge that was either not available at the entry level or not accomplished at the entry level. It provides a systematic approach to career development, along with outside validation. The prestige of the profession as a whole is enhanced by a good certification program. Q17. Why should ALA as a whole be involved with this, rather than leaving it to the individual specialty groups? A17. ALA divisions are not legal entities separate from ALA; any action by an ALA unit necessarily involves ALA.
Q18. What might this cost? Pricing for intensive, two-day workshops (or the web-delivered equivalent) is typically set at $250-$400. This is well-within the range of pricing for similar offerings. The current model for an affiliated professional organization assumes a $100,000 up-front investment in the development of the 501(c)(6) organization, with interest to be paid beginning in year one and principal to be fully repaid over a defined number of years. It is projected that the organization will require 4-5 years to become self-sustaining. A $350 application fee is assumed in the current model. Q19. How would governance be structured? A19. The 501(c)(6) [ALA-APA] would operate under separate bylaws. The governing boards could be interlocked and could give ALA effective control over the affiliated professional organization. While the (c)(6) organization could have a broadly or narrowly-defined mission, a narrowly-defined mission is proposed, with all activities and roles which can legally occur within ALA being retained by ALA.
Q20. Is this issue related to foreign credentialing? *Please note: All documents in this section are preliminary and subject to change as details for each certification program are finalized.